Australia has some of the world’s hottest and driest summers. With strong and powerful sunrays for hours on end, Australian summers are notorious. As Aussies, the hot summer sun is just part of everyday life. In fact, it makes for perfect pool days and relaxing weekends spent in the water. But, too much sun spells trouble for our bodies. At Shade Experience, our Perth professionals help you make the most of hot summer days while staying protected and comfortable. 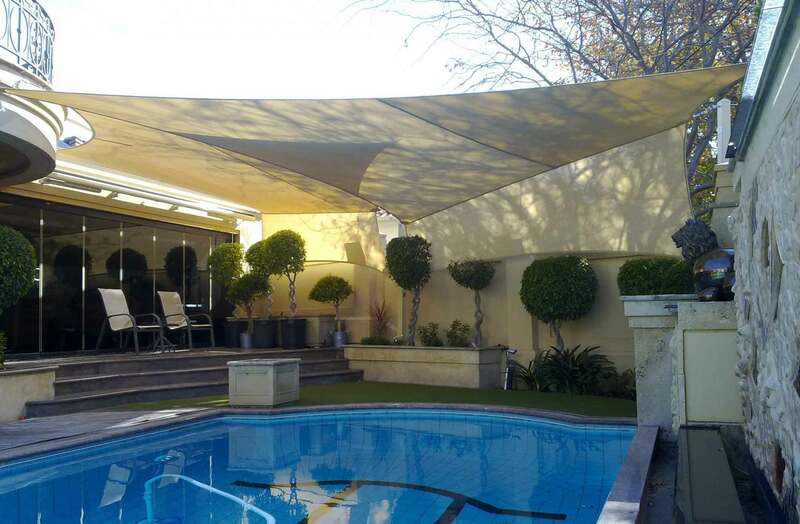 We specialise in crafting custom pool shade sails, designed to keep your pool cool, keep your skin protected and to provide a refuge from the sun. Learn more about why you need a pool shade sail for summer. Why Install a Pool Shade Sail? Pool shade sails and outdoor shades are the perfect way to provide a convenient and comfortable refuge from the sun. Affordable and simple to construct, they instantly add value by providing a shaded outdoor living area. Able to be customised to suit your requirements, you can choose the material, colour and design of your shade sail. From simple and discrete colours to bold designs and accent pieces, your shade sail can add to your home’s style and personality. In summer, shade sails protect your family from the sun and shelter your pool. In winter, simply take down your shade sails and store them securely until the summer. When the kids are splashing in the pool or when you’re entertaining, it can be hard to keep up with sunscreen, sun protection and protective clothing. A simple distraction or oversight can result in nasty sunburns or heat exhaustion that spoils the fun. Pool shade sails offer a stylish and affordable solution. One of the safest and most effective ways to protect your family from the sun, pool shade sails provide instant sun protection while allowing the kids – and adults – to comfortably enjoy pools and outdoor living areas. Incorporating UV protection, you can feel confident in letting your kids make the most of the summer while staying safe and protected under your outdoor shade sails. With a plethora of shade sail options on the market, it can be enticing to go with the cheapest one. While cheap shade sails may appear to look good, they quickly start to degrade and damage. When it comes to choosing shade sails for your pool, you get what you pay for. Materials and fabrics that are sturdy, durable, made to withstand weather and are protective against UV rays aren’t going to be the cheapest; but they will be the best value. There’s no negotiating when it comes to protecting your family from the sun. At Shade Experience, we offer a wide range of affordable yet effective materials designed specifically for shade sails and superior UV protection. With a two year workmanship guarantee and a 10 year manufacturer guarantee against UV degradation, the pool shade sails at Shade Experience offer solid protection against the sun. Find out more about our custom pool and garden sail shades. Contact Shade Experience today on (08) 9417 9988.